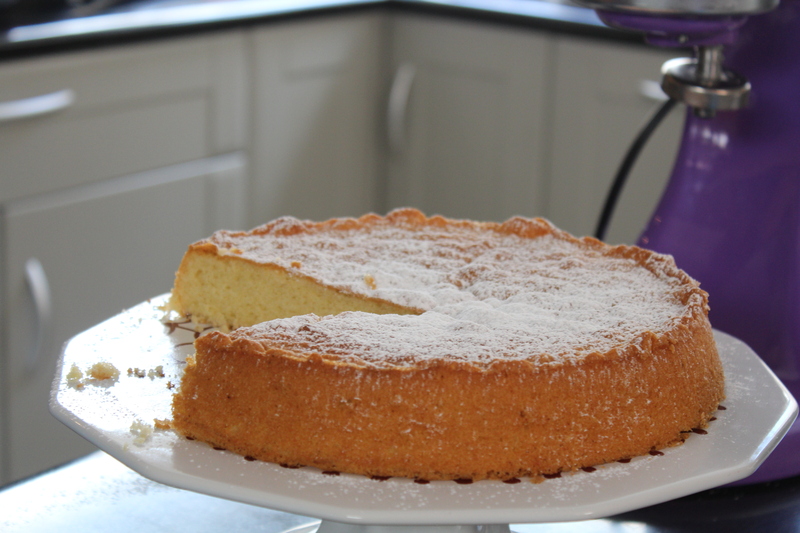 This is a super light sponge that you can add to your recipe collection. It can be used for a berry gateaux or for tiramisu….use your imagination with this one…you can flavour it with cardamom, rose or almond essence. It can be baked a day in advance if you are entertaining and trying to get down on admin. I love the consistency of the Spar Double Thick Greek Yoghurt…it is thick and creamy and won’t make the cake soggy! Sift the flour, salt and baking powder twice. Place the eggs in a large mixing bowl and beat using a hand held egg beater. Gradually add in the castor sugar and continue beating. The mixture must be light and should leave a trail on the surface that is visible for three seconds. Add vanilla essence and fold in half the sifted dry ingredients into the egg mixture. Add the cold water and then the remaining sifted flour. Lastly fold in the sunflower oil. Ensure that you have folded in the ingredients properly especially the batter at the bottom of the bowl. Pour the batter into a cake tin and bake for 30 minutes. Let the cake stand for a minute or two before turning out onto a wire rack. Leave to cool completely. Slice the cake and dust with icing sugar. Once plated, spoon a dollop of double thick yoghurt over the cake and drizzle with honey. 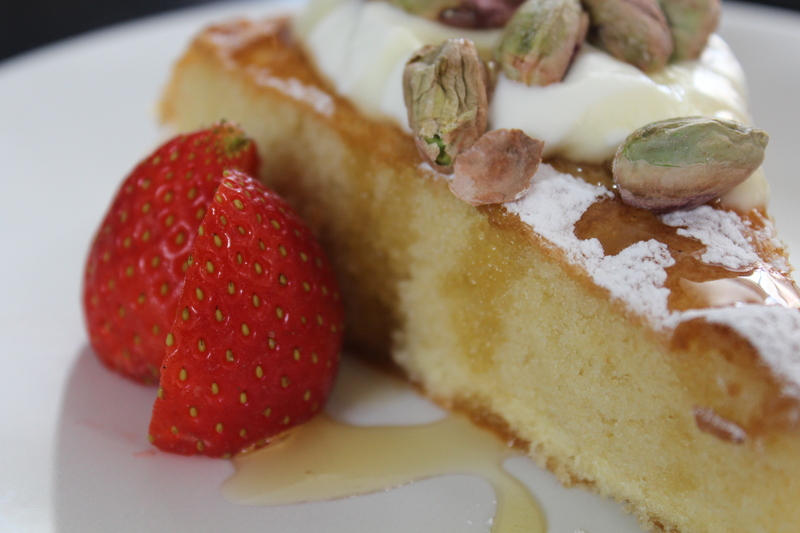 Sprinkle the roasted pistachios over the cake and serve with fresh strawberries. Always make sure that your ingredients are thoroughly mixed before pouring the batter into the cake tins. The oil tends to sink to the bottom so make sure you lift the batter from the bottom of the bowl to ensure it is well combined. Serve with whipped cream and strawberries for a decadent treat. Spar double thick yoghurt has a thick, luscious consistency – it does however contain gelatine.